Flora Bella Designs is owned by Stephanie Jamison. A native Houstonian, Stephanie is a graduate of the business school at the University of Texas at Austin. She has also studied at the Benz School of Floral Design at Texas A&M University, the Glassell School of Art and the Art Institute of Houston. In 2004, Stephanie turned her lifelong love of flowers into a full time business and started Flora Bella Designs. Since then, she has provided floral arrangements for hundreds of weddings, parties and other special events throughout Southeast Texas. 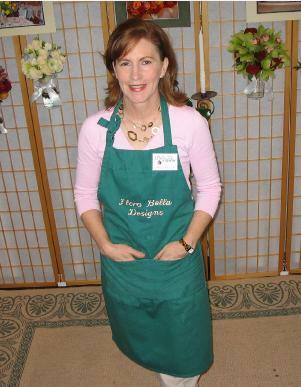 In 2009, Stephanie was certified as a Texas Master Florist by the Texas State Florists' Association. Flora Bella Designs has been rated by local brides and voted The Knot Best of Weddings Pick in 2011, 2012, 2013 and 2014. We have also received a 2011, 2012, 2013 and 2014 Bride's Choice Award by WeddingWire, recognizing the top 5% of wedding vendors for excellence in quality and service.